There are dual benefits of fast website. Visitors just love faster experience and search engines praise you with higher rankings. Slow website, which hangs for 5-6 seconds before showing anything on screen, is surely loosing users. Each delayed second costs you a lot of visitors, who sill start abandoning page in increasing rate, if load time is exceeding 2 seconds. Research has shown, that 40% visitors will abandon page if page load time is 3 seconds or slower. Did you lose visitors not knowing why? We surely have the answers. For quick start, measure your website loading time here and based on speed report and quality score, you will be able to discover soon what are most problematic bottlenecks of your website. "Back" button fast and Google takes account of that in determining particular website quality score. 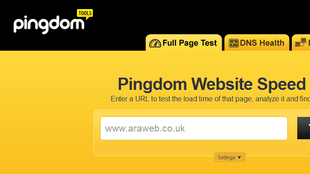 Read about 9 simple principles, how to make website faster. 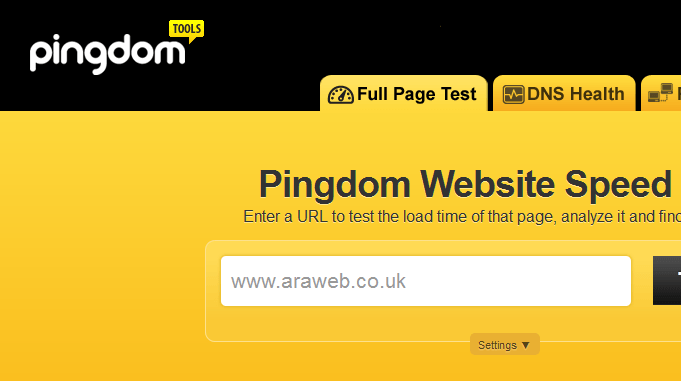 Pingdom tools offers easy way to measure your website quality and loading times Slow website, which hangs for 5-6 seconds before showing anything on screen, is surely loosing users Each delayed second costs you a lot of visitors, who sill start abandoning page in increasing rate, if load time is exceeding 2 seconds There are dual benefits of fast website. Visitors just love faster experience and search engines praise you with higher rankings.